Well, the New Year has just begun. You are seeing 2018, in all its freshness and bloom. You can have access to the latest designs on diamond jewelry. The Bridal diamond rings are of a paramount importance, for the wedding to take place in a streamlined manner. The design is a great pick for the new brides-to-be. You find two rings crossing one another at a tangential spot. 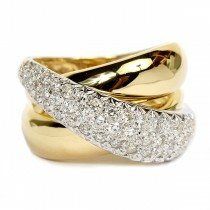 One of the rings is studded with a Princess cut stone, to add to the glimmer and sheen. 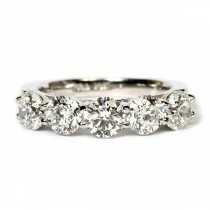 The other ring is made of 7 diamond stones that are cut, customized and designed to perfection. 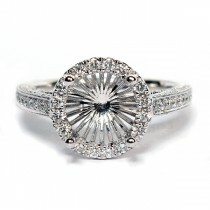 This is a picture perfect diamond ring to embrace the man of your life. 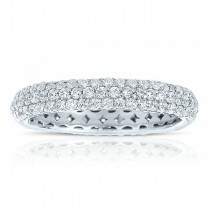 It is a stunning 14K white gold. The white gold is dipped into Rhodium. A beautiful square stone comes right there, at the center. You can discover more than 40 diamond stones that surround the setting, as such. You can also have the ring wrapped inside a gift packaging. The entire set is put into a complimentary jewel box, as well. The central stone follows a prong setting and is held by jump rings on all the 4 sides. The setting is exquisitely designed with diamond stones. These are 44 stones that weigh 0.37 carats, in total. The ring is therefore an exotic pick. 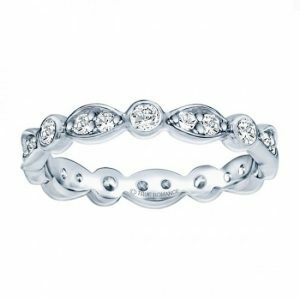 The brilliance or the radiance coming out from the wedding band can last forever. You can also order for a band containing 20 stones. The setting is done, on a stunning 18K yellow gold. 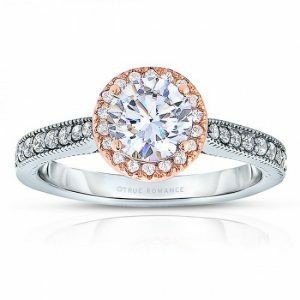 This is a Bridal Engagement ring that can enliven the value of your upcoming relationship. You find one diamond stone and a sapphire stone placed side by side. These are 6 diamond stones and 6 sapphire stones, in total. The blue sapphire stones add to the royal looks. 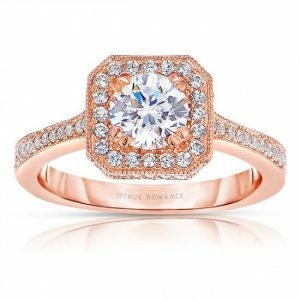 These are the 4 enticing designs on Bridal Diamond Rings.